Welcome to Oregon: a 100% real place. But when you’re here, you might swear otherwise. You can try to show the magnitude of a mountain vista or the quiet bliss of a hot spring. But truth is, you really have to be here to get it. We know, Oregon is big. Not familiar with U.S. geography? 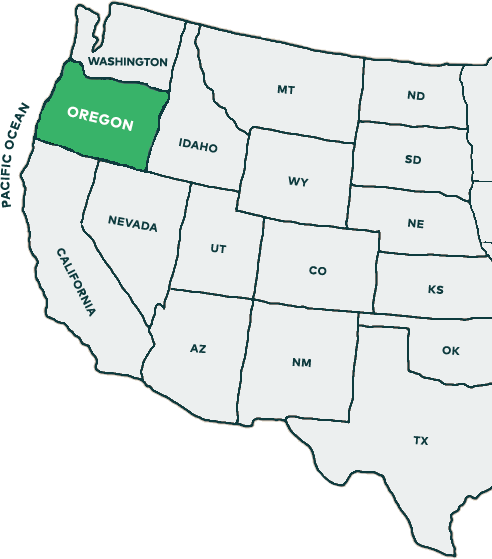 Oregon is on the West Coast, right between Washington and California. Some people think it's the best thing about the West Coast, and of course they're right. Made up of seven diverse regions, Oregon has the ocean, mountains, valleys, high desert, cities, small towns, and almost everything in between.